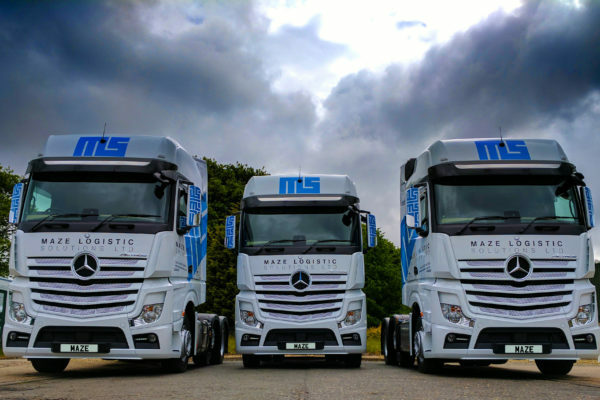 Maze Logistic Solutions are a privately owned transport company established in 2011 to provide a fresh resource to the Container Haulage industry. With a wealth of experience together with enthusiasm and a flexible and innovative approach, Maze Logistic Solutions ensures that the customer receives only the best possible service. Through listening to the customers’ requirements and the detail to their specific needs the Company has steadily increased its volumes and portfolio and now handles Container movements on a daily basis for many Major shipping Lines, Blue Chip Forwarders as well as the smaller Operators where a dedicated, VIP service is guaranteed. In response to the customer’s needs and requirements Maze also provide Supply Chain Management for all surface transportation including Out of Gauge cargoes. To compliment this Warehousing and Stock control systems are provided in hubs throughout the United Kingdom and Europe. Working towards the future Maze Logistic Solutions continues to enhance its operation, by developing its infrastructure through technology and working in partnership with its clients, offering solutions that support productivity and drive efficiencies through to completion.